Enjoy the extra space in an expandable vehicle! 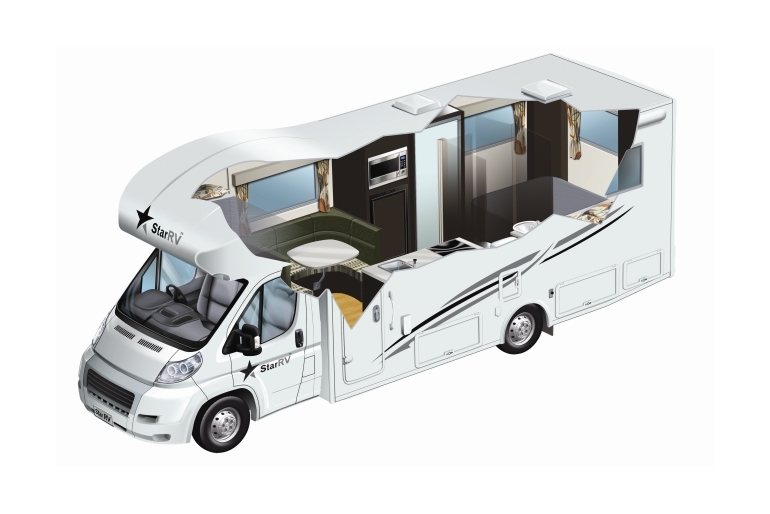 Luxuriously accommodating 4 adults, the Pegasus RV also has the added feature of the slide out panel in the kitchen and living area, providing over 30% more living space. This vehicle has 2 large beds and the largest fridge/freezer of Star RV's fleet, the 3 burner gas stove makes self-catering easy. Standard rates include unlimited kms, kitchen and personal kits, a welcome pack and much more! See terms and conditions for a full list of inclusions. 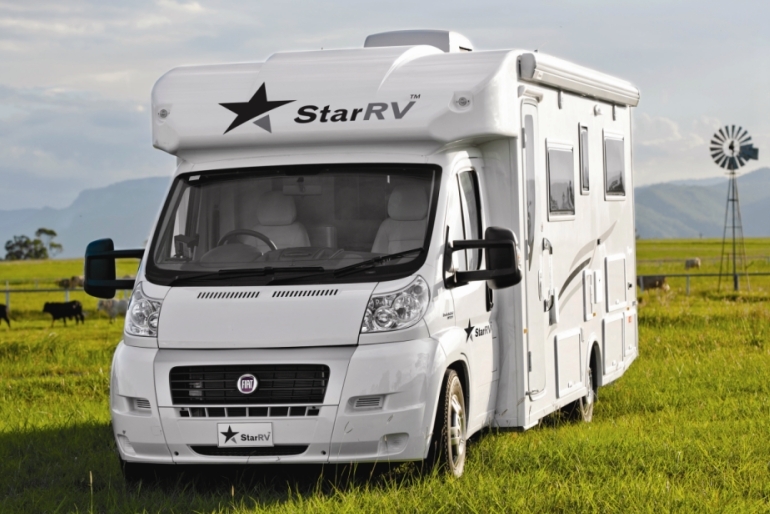 Wifi is now included with 5 GB per day for Star RV bookings. Additional packages available.